This stunning model was elected in the 2011 “Full-size cruisers 50 to 55 feet” category. This premium charter yacht ignores the formulaic approach to yacht design or maximising accommodation to keep the chart costs down. here we have a yacht that concentrates on the luxury end of the market. The yacht has no aft cabins that allows for an open and spacious cockpit set much lower at saloon level – much lower than most other yachts – particularly in the bareboat yacht charter market. If you find a Beneteau to charter, you will undoubtedly spend much more of your time in this amazing cockpit. You will pay more for this charter yacht, but if you are seeking charter luxury, then there is little else that will offer you these high levels. So long as your party is 6 passengers or less, then this will be the perfect fit. Some do come with extra cabin space for a skipper or captain if you are seeking a crewed charter accessing from the port deck. For information on how to charter this yacht, write to joanne@sailchecker.com who will be delighted to help. 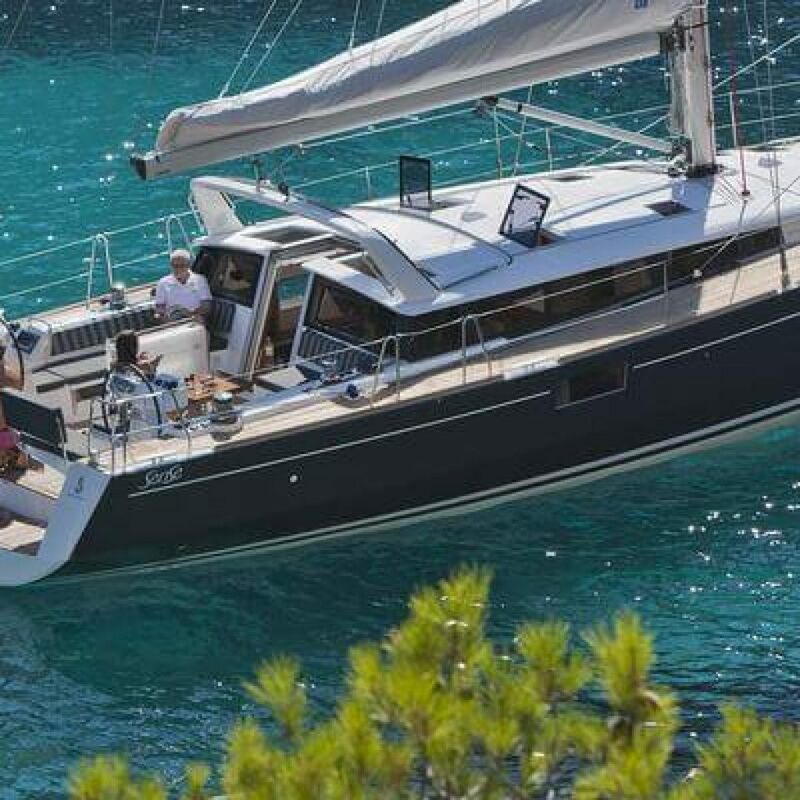 This yacht is available for bareboat and crewed charters in the Mediterranean and Turkey. Whether you are a seasoned charterer or dipping your toe for the very first time, we are proud to be a no obligation advice line for all your sailing needs. No matter how trivial or great your question or requirement, please use our easy form to reach out to us – we’d be delighted to help.